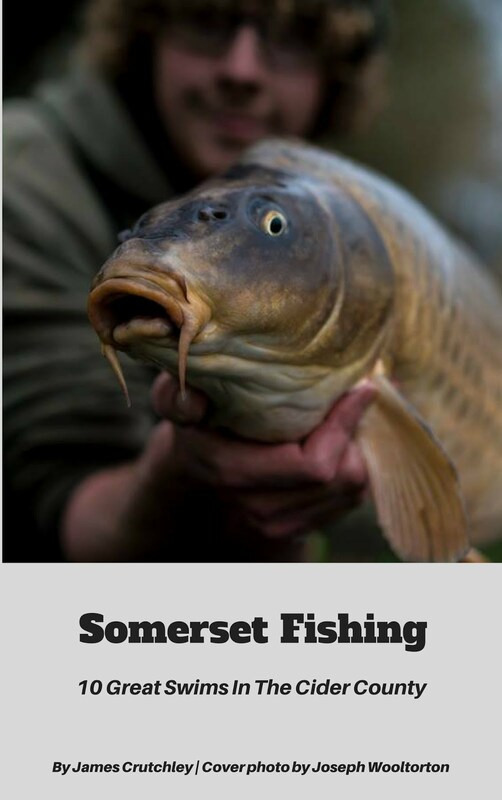 Sunday saw me head over to Landsend Fishery (which isn't in Landsend but tucked away in Wedmore - It would appear that names and geography aren't recognised in the deeper regions of Somerset). I love the drive over to this fishery across Tealham moor. It looks barren but harbours all sorts of critters. In the winter large flocks of Fieldfares hide in the grass. Dainty Egrets stalk along the drains. Herons stand. Stiff and sentinel. Today I was not alone in my fishing. I was meeting The Boss, Kevin Griffiths. A keen Carper and camper. 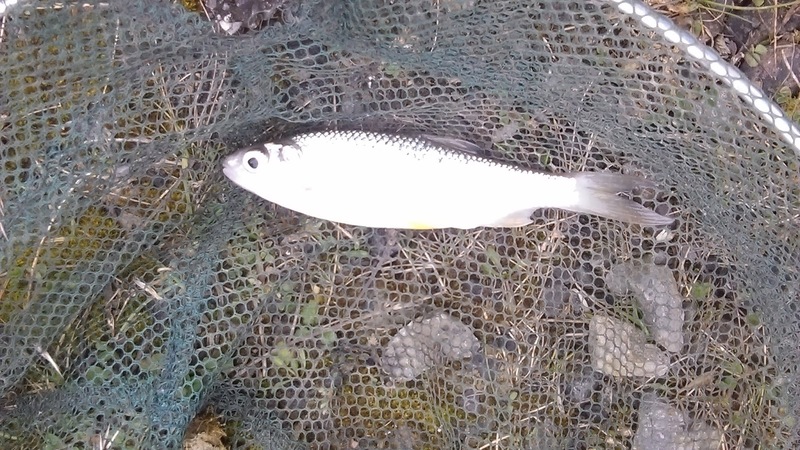 Upon arrival it was clear that the slightly milder weather had attracted a lot of anglers. The match took up 3 of the 4 lakes! I was left with Sidney's Lake. The newest lake. But I wasn't worried. It was just nice to be out in the warmer air. I trudged my way over. 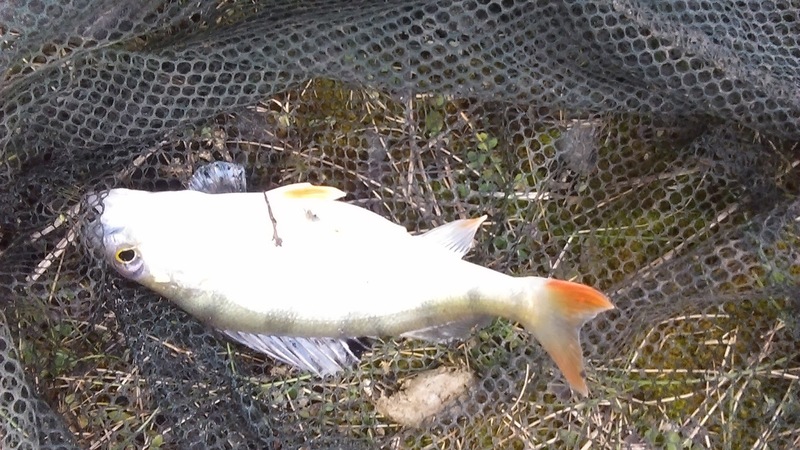 Avoiding a large number of expensive fishing poles and rollers (they are all the fashion at the moment). At the bank The Boss was already set up and fishing. Carp rods dipping towards the water. The Boss was enthusiastically chucking stuff in the water. I was keen to catch up and unloaded in a corner peg (84 I think). 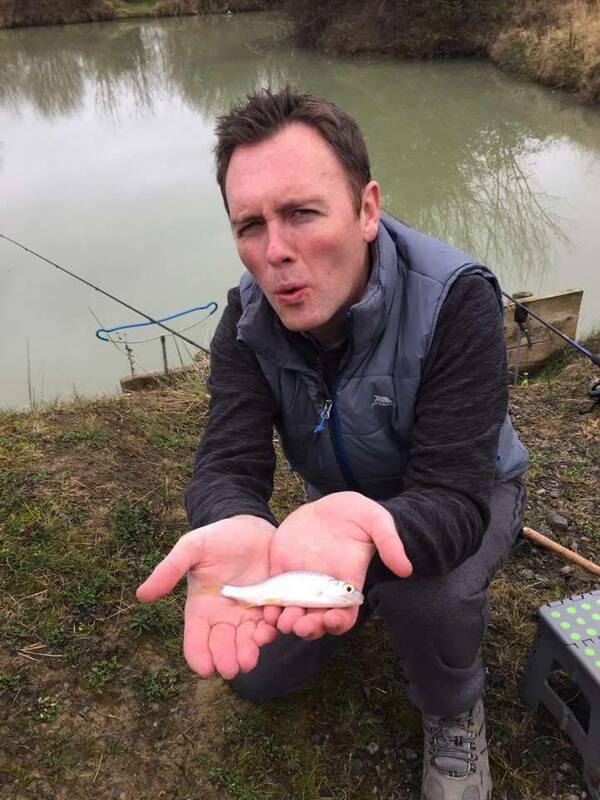 I chucked the lead in and fished the float. Kevin The Boss was fishing heavy. Accustomed to catching big dollop fish, this small (but perfectly formed) lake wasn't an ideal place for chunky gear. Nevertheless he was full of beans as we chewed the cud. Pulling in the lead I had a dinky Roach on the end. 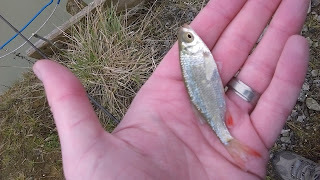 Followed by... a dinky Roach. 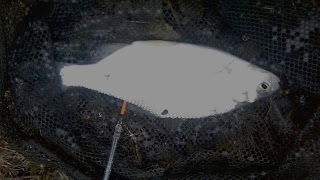 Then the float slid under and... a massive Perch. 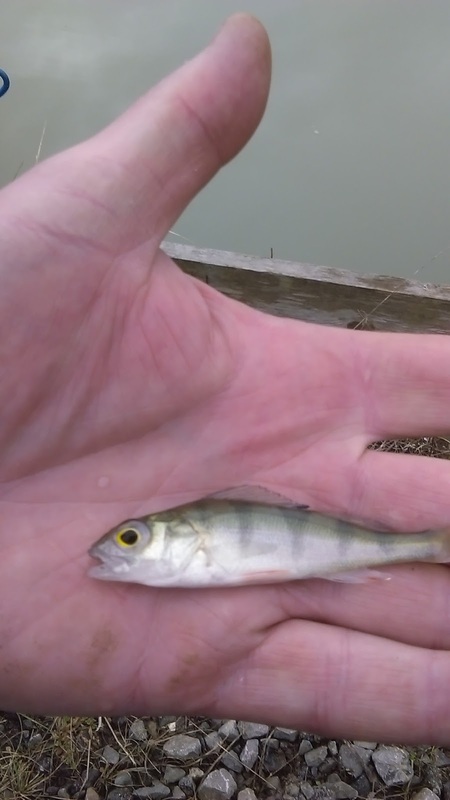 Mega Perch. Struggling to lift it. I fed in a small handful of maggots every 5 mins around the float. The silver's were loving it and I was kept busy catching Roach up to about 6oz. Nothing huge bit fun all the same. Meanwhile Kevin had spied a chunky Carp cruising about and went about harassing it with a rubber dog biscuit. 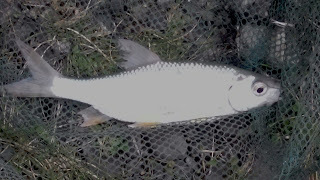 Sadly the Carp wasn't fooled and carried on about its business. Suddenly my eyes noticed a black, slimline piece of fur sneaking about and then cruising across the water. There was much talk of fishing, some about work and a bit about holidays. All the while the float bobbed and ducked. The silver's were hungry. I even managed to blag some fat lobworms from a nearby angler. I think his name was Steve. Cheers! The day slipped by really quickly and before long the light was fading. Just before the end I had a slimy skimmer. This fellow actually put up a bit of a fight. Unusual for a Skimmer! He isnt radio active. Its my crap camera. Overall I had a good 30 odd bag of silver's. Plus I missed a good few as well. 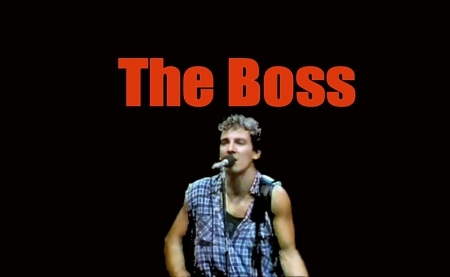 I'm sure myself and The Boss will be back again shortly. Its a lovely place and really relaxing. But for now we had The Long Walk Home (one for Bruce fans there).